What are the advantages of working with Indy Auto Parts? Next day, free delivery of truck parts, speed parts, and accessories to the following communities: Peabody, MA, Danvers, MA, Middleton, MA, and Wakefield, MA. Dealers located outside of the listed communities are eligible to receive free shipping for all items under 10 lbs. via USPS Priority Mail. All other others can be delivered to Indy Auto Parts for pickup for no charge during normal business hours (M-F 9:00 AM - 7:00 PM, Sat. 9:00 AM - 4:00 PM). Dealer quotes for items not currently featured on the website will be considered for pricing after reviewing pricing from JEGS and Summit Online. no other web-based pricing will be considered for competitive pricing. 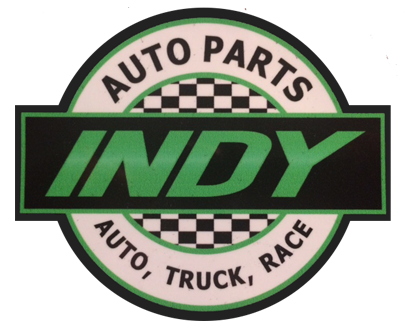 Orders can be generated via the Indy Auto Parts website, via direct message to the Indy Auto Parts Facebook page, or texting via phone. All items must be generated through Chip or another salesperson authorized by Chip. All dealer applications require written approval from Chip at Indy Auto Parts. A valid 2019 (no tax) sales form must be submitted with proper state and federal EIN data. To download this form, click here. All sales will be prepaid by a debit or credit card kept on file for the dealer company. All business will be conducted during the standard work week (Monday through Friday). No weekend or holiday deliveries; product pickups at the store are available on Saturday. Returned items will be credited and picked up at the dealership under the conditions that they have not been installed and are deemed in resalable condition, as deemed by the Indy Auto Parts sales representative. For more details, send an e-mail to: indyautoparts.cs@gmail.com or call the store asking for Chip at: 978-535-8100.